Ombre! We love this trend. It’s been around a while for fabric but we loved incorporated homemade dip dye ombre items into our packaging. 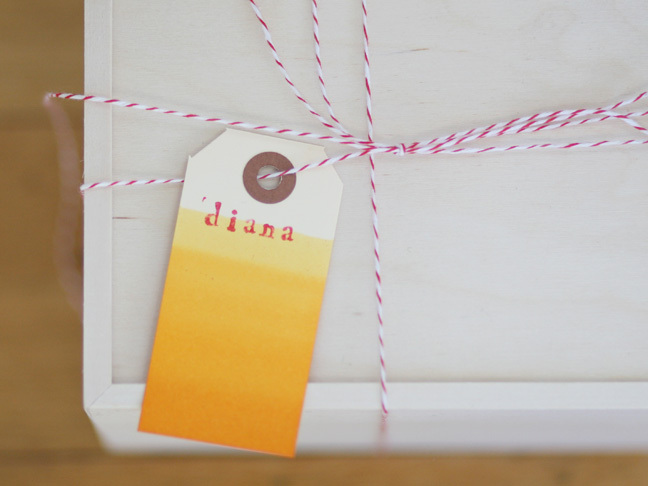 Keep reading to see how to make these pretty ombre tags! 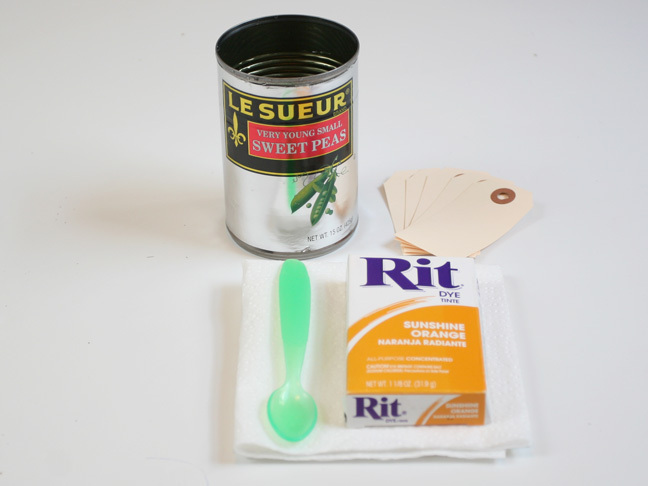 Mix a tablespoon of the dye with a cup of very hot tap water. 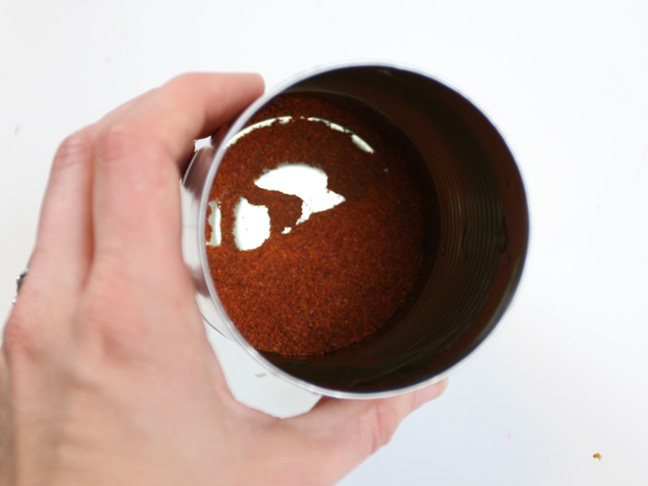 Lay the can down on the paper towel. Stir to combine, carefully take a tag and dip it rapidly until the dye hits about 3/4ths of the way up the tag. Do the same but dip it until the dye reaches about 1/2 inch beneath where the top line is. 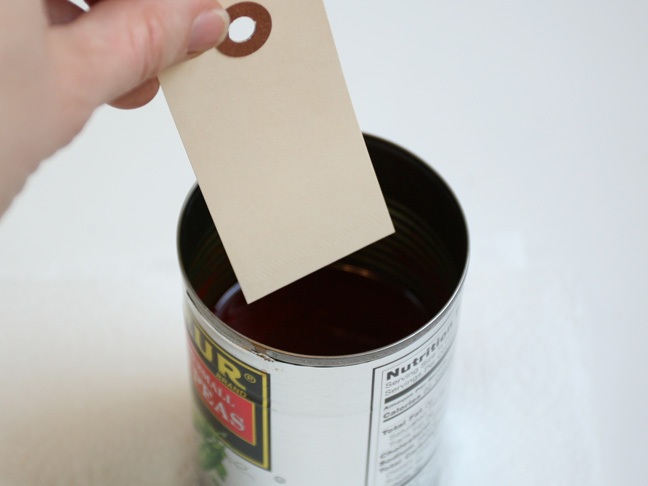 Gently move the tag back and forth in that spot so it doesn’t create a harsh line. You can see in this image the difference between the harsh line and the soft line. The tag on the right was made by moving the tag back and forth instead of holding it still when you reach the spot you want to let the dye sit. 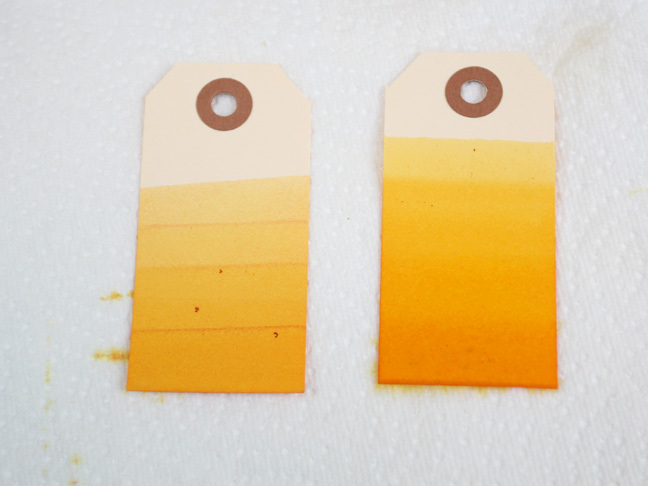 Continue, dipping the tag progressively less and less into the dye. 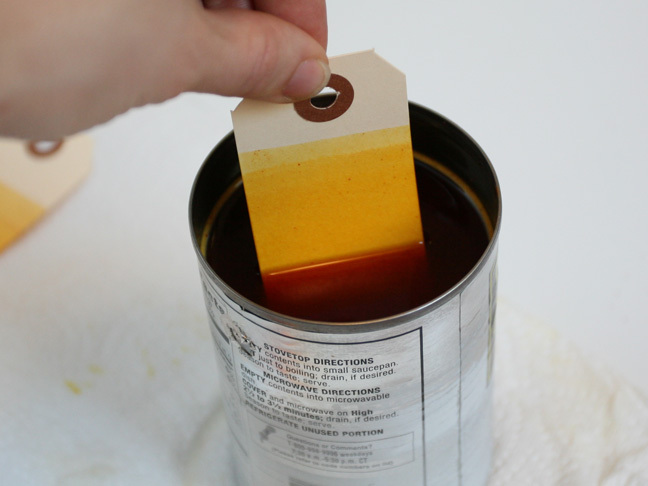 For your last gradient, hold the tag in the dye for about 2 minutes or longer. 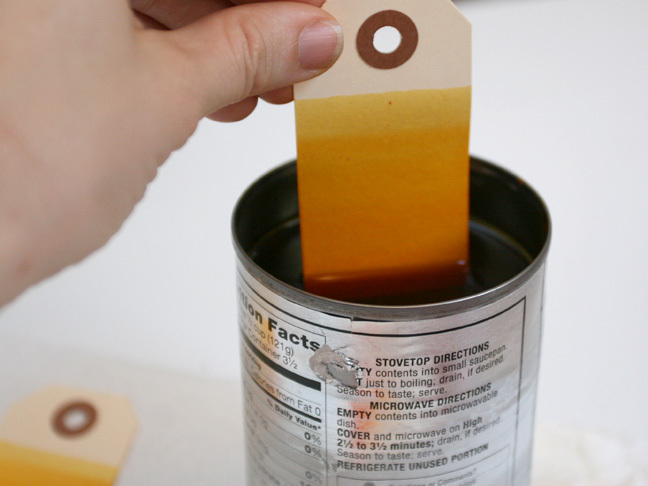 Pull it out and see what it looks like, re-dipping the tag if you want a deeper color. 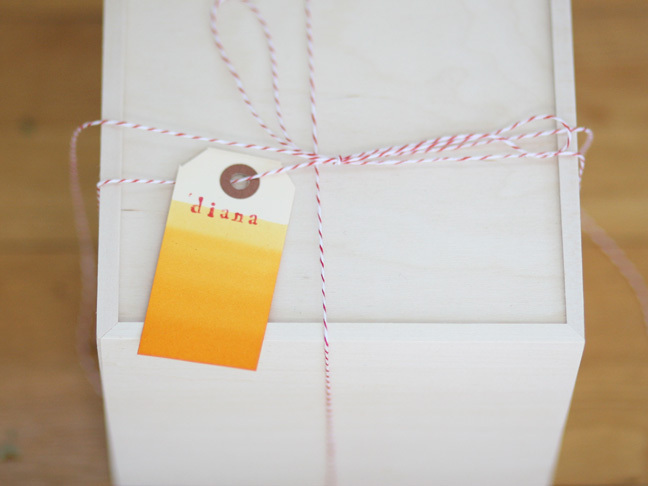 Let dry, personalize, and attach to a gift!